The new generation of Audi Q7 is expected to arrive at the 2014 Paris Motor Show, this fall in October, with the vehicle reported to be a real hit. 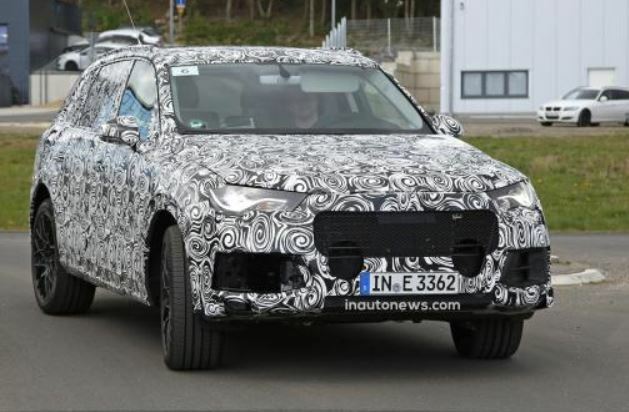 The Volkswagen Group`s subsidiary Audi has been working on the new Q7 for some time now, and the spy photographers from Inautonews.com publication have caught the car on camera for a few times. More than that, the confirmation of the model coming this fall also comes from Auto Motor und Sport, that also stated this fact. The model will be called the 2015 Audi Q7 version and will be receiving a more prominent grille, narrower headlights and some aggressive behavior. Under the hood, the 2015 Audi Q7 comes with an engine lineup, like a 4.0-liter TFSI twin turbo V8 petrol, developing 435 horsepower, and a 3.0-liter TSI, outputting 310 horses. As for the diesel series, we might be talking about a 3.0-liter TDI unit along with 238 ponies, and a more powerful 4.2-liter TDI outsourcing 385 horsepower. The fresh news however is that the 2015 Audi Q7 will be also coming with a plug-in hybrid model that will be the company`s low CO2 emissions, with less fuel consumption.